Product prices and availability are accurate as of 2019-04-23 22:46:19 BST and are subject to change. Any price and availability information displayed on http://www.amazon.co.uk/ at the time of purchase will apply to the purchase of this product. 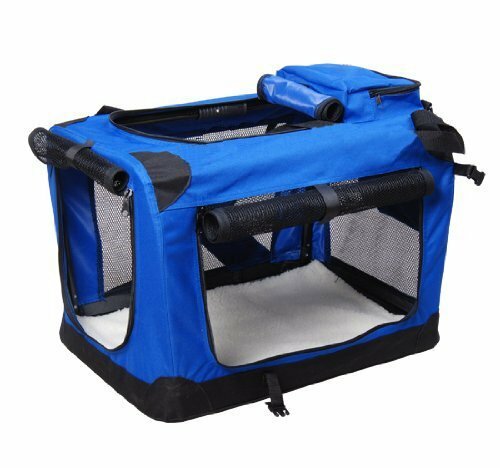 This is a sturdy folding fabric pet carrier in royal blue, it is Ideal for transporting your pet, giving them a portable home from home. 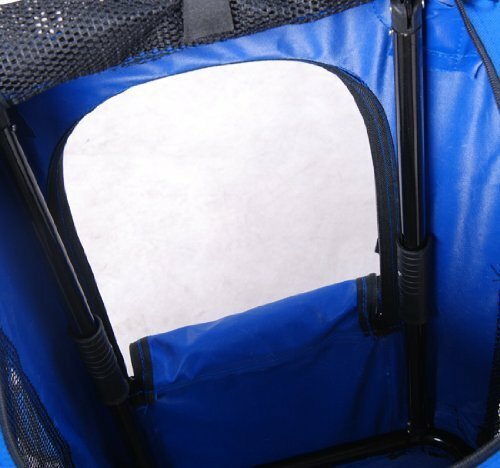 It is easy to set up and folds flat for easy storage in seconds. 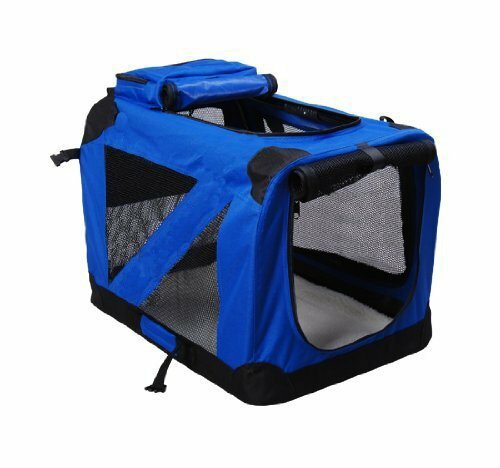 It is Lightweight and has a sturdy construction with a Tubular steel frame, strong and light with reinforced corners. 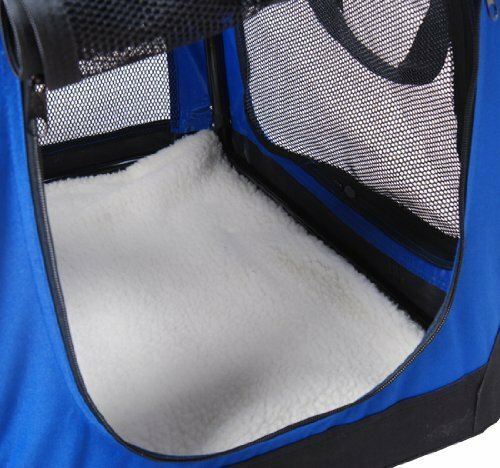 The Carrier has 4 curtains that can be rolled up or down, ventilated mesh windows on all 4 sides, 3 openings, 1 at the end, 1 at the side and 1 on top for easy access and a custom made faux sheepskin bed included. Additional storage bag on top and Carry Handles. All measurements are approximate and may vary slightly.